RANG-AY BANK obtained its authority to operate under R.A. 720 from the Central Bank of the Philippines on January 14, 1956. Founded by Mrs. Numeriana T. Querol as Chairman and Mr. Teofilo A. Nisce as President, it had Atty. Rodolfo M. Nisce as Manager. It has since grown into a 29-branch network serving Region I and the Cordillera Autonomous Region. •	The Balikat ng Bayan Awards, established in 1995, is annually given to companies, institutions and individuals who have contributed in a significant way in helping the Social Security System (SSS) achieve its mandate. It is the SSS's way of acknowledging the value of its partnerships with other sectors for their unwavering support to the programs of the government body. 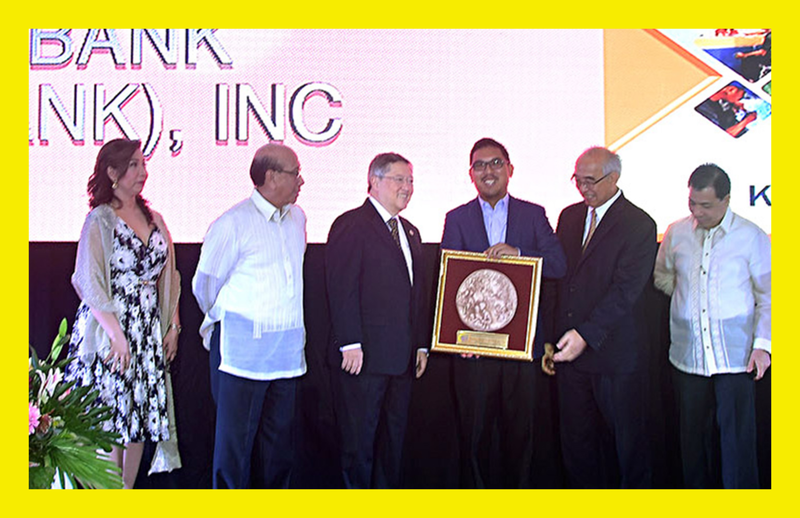 •	The 2016 Balikat ng Bayan Best Collecting Partner Bank(rural bank category) was awarded to Rang-ay Bank, for consistenly being among the nation's top institutions with the highest collections and processing a large volume of transactions with its wide coverage. Rang-ay Bank was the only rural bank national awardee of the Social Security System for the year. •	The National award was presented by Dept. of Finance Secretary Carlos Dominguez III and SSS President Emilio De Quiros Jr to Rangay Bank Vice-President Ives Jesus Nisce II at the national awarding ceremonies held at the SSS Main Office, East Avenue, Diliman, Quezon City on September 2, 2016.